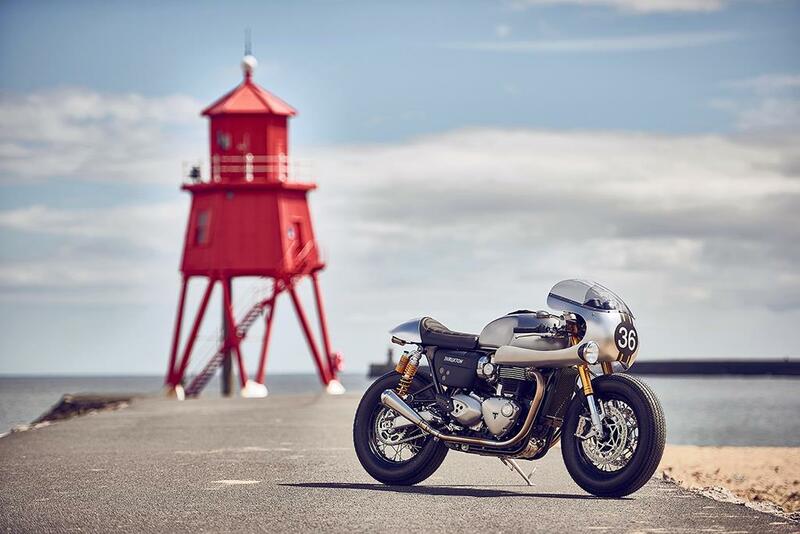 This stunning Barbour International inspired Triumph Thruxton R special will be unveiled at the Bike Shed London event this weekend, May 28-29, in celebration of the two firms’ continued collaboration. 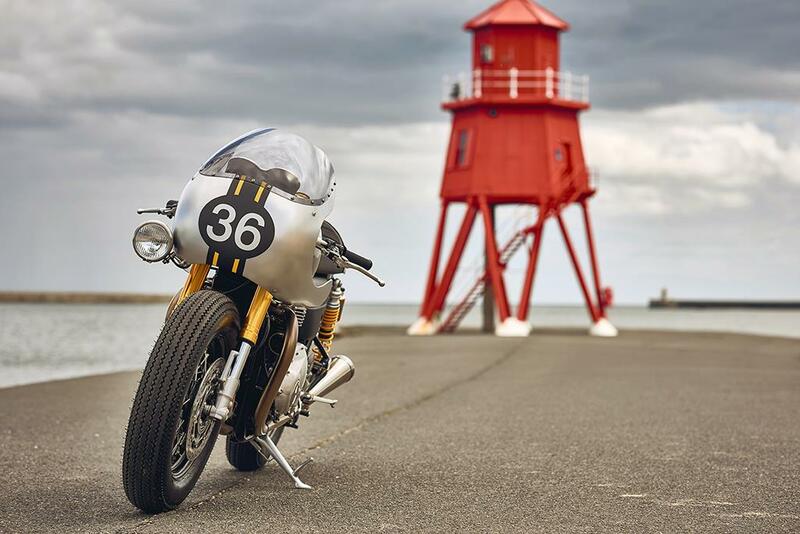 Built by British custom bike gurus Down and Out Café Racers, in Yorkshire, it features hand-beaten bodywork and unique Barbour International inspired livery. The build combines classic, custom and contemporary styling, with blacked-out rims wrapped in huge Firestone Champion tyres, hand-crafted aluminium fairing, and dropped handlebars an off-centre endurance style headlamp, and lots of Barbour-inspired style references. Dominating the view from the saddle is the beautiful Thruxton tank, with lines further enhanced by the bare-metal finish. Replacing the standard steel tank strap is the trademark Barbour International jacket belt, repurposed to provide a stunning finishing touch. The saddle itself is another one-off detail – custom tailored incorporating Barbour International’s famous wax cotton material and stitching detail. 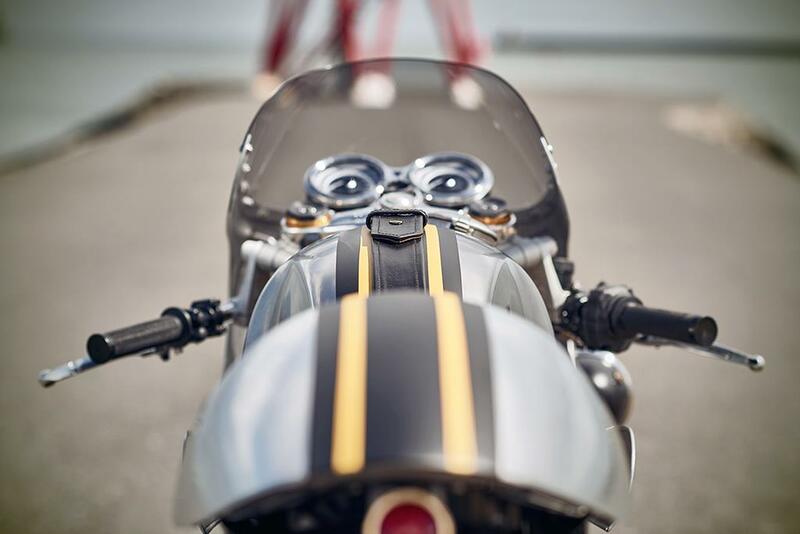 To finish off, custom short megaphones amplify the growl of the Thruxton’s High Power 1200cc twin engine whilst the classic lines are completed with a handcrafted aluminium seat cowl and custom LED rear light. 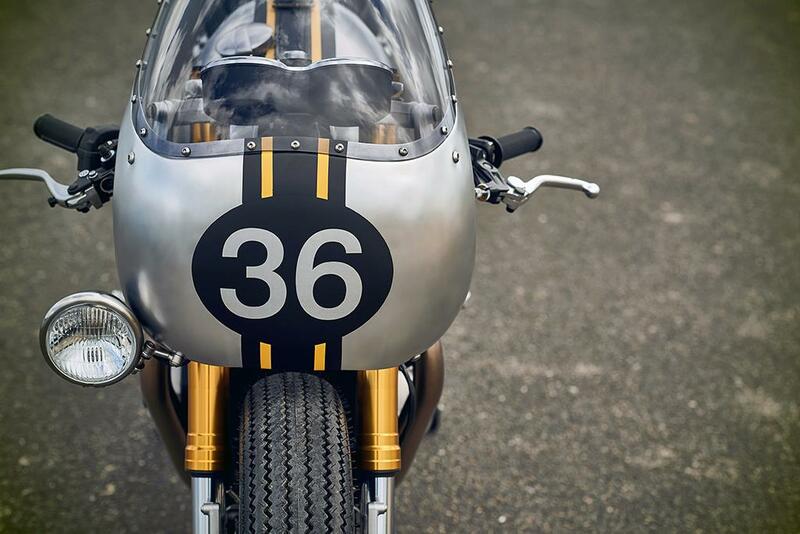 Dubbed the BIT2, it will make its debut in the metal at the Bike Shed London, held at Tobacco Dock in London.